Which begs the question: Is the sap is running well enough to make maple syrup in the run-up to Maine Maple Sunday this weekend? The answer? Mostly, but producers are crossing their fingers. “Statewide, I would say, central to southern Maine has finally let go a little bit and a fair amount of syrup has probably been made – certainly we’re behind – we’re about three weeks behind what we normally are in this part of the state,” he said. “Some syrup has been made, and I’m sure more syrup will be made before Maple Sunday. The weather looks good for starting to make sap here over the next few days. Dan Shea at Cobbs Hill Sugarhouse in Mount Vernon said that the sap had just started running, so he and his family will be ready for Sunday, but this year has been unusual. In Farmington, Mike Bolduc at Twin Brooks Maples, said there are 3 to 4 feet of snow on the ground from a succession of storms that froze and never had a chance to melt. He said sap in his 500 taps hasn’t started a good run yet. Shea, in Kennebec County, said part of the problem is that the base of the maple trees are still frozen with ice. Strawberry Hill Farms in Skowhegan is where the first meeting for Maine Maple Sunday took place in 1983. 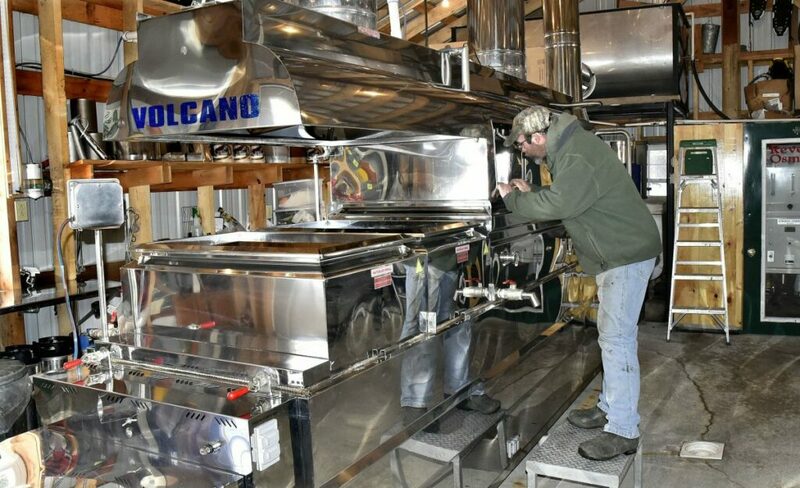 Manager Jeremy Steeves said Maine Maple Sunday will go on as it has since his father, Jack, first got together with other producers to start a statewide day in appreciation of all things maple, despite the unrelenting cold. Unfortunately conditions haven’t been ideal. Steeves said a good sap run calls for the air temperature to be around 45 degrees during the day and down to about 25 degrees at night. In February 1983, eight Maine maple syrup producers gathered in the Steeves’ living room to designate one day for maple syrup lovers to visit the state’s many sugar houses, smell the vapor of the evaporators and see how sap is transformed into sweet, golden syrup and maple candy. 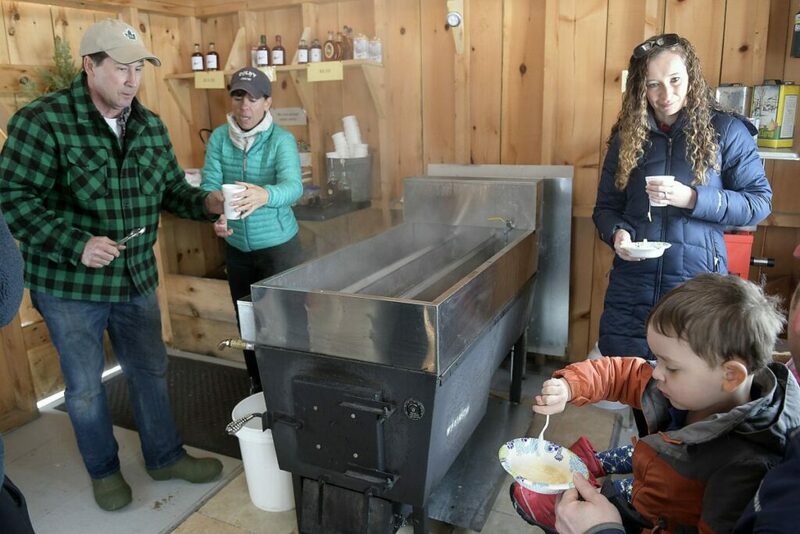 The group decided that Maine Maple Sunday, to be celebrated this Sunday, would be the fourth Sunday in March, when sugar houses all over the state are open to the public and offer free syrup samples and demonstrations on how maple syrup is made. Many farms offer games, activities, treats, sugar bush tours, and more. A list of participating sugar houses can be found at visitmaine.com.